Created a site collection for "Marketing" team today and they came with a complaint: "I couldn't see Navigation link under site settings! As 'Navigation' component gives more options, we need it badly! How do we get it?". Ok, I went to: Site Actions >> Site Settings >> Look and Feel >> Nope! couldn't see Navigation link. Yes, Navigation link is missing!! instead I see "Quick Launch" and "Top Link Bar" links. Users must have the Full Control or Design permissions on the site to get Navigation link BTW. 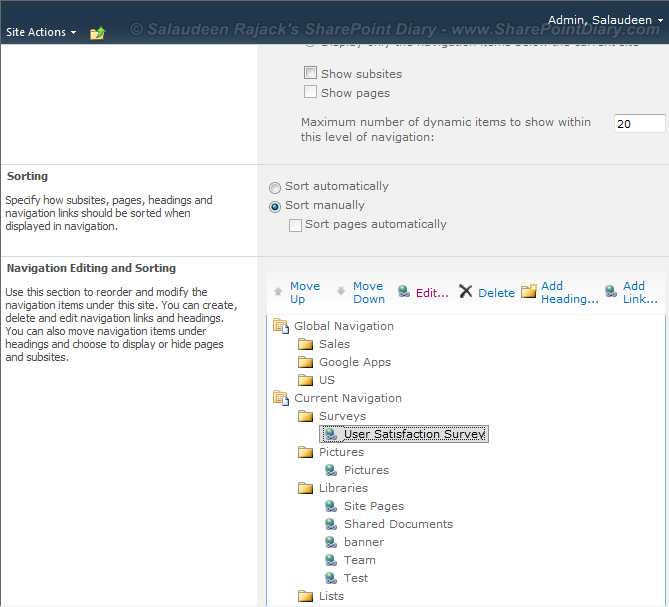 Under "Site collection administration" section click on "site collection features"
Now for each site you can activate feature "Office SharePoint Server Publishing"
Done! You should be able to see the option "Navigation" under look and feel. You can do it only if you are a site collection administrator. Don't want to activate publishing feature but need "Navigation" link under site settings? No issues. Here is the trick to get Navigation link in site settings: Navigation is actually a hidden feature which gets activated when you activate "Publishing Feature". So, we can just activate the "Navigation" feature directly. 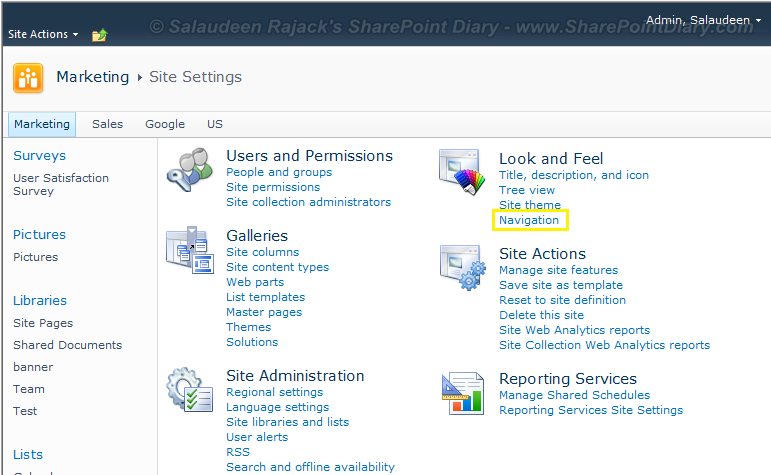 This will fix navigation link missing for SharePoint 2007. 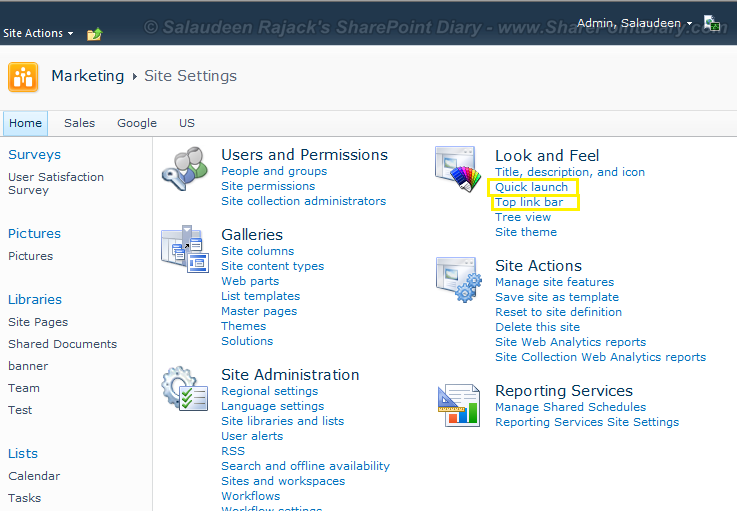 Enable-SPFeature -Identity "navigation" -url "http://sharepoint.crescent.com/teams/marketing/"
All of your stuff is good! Thank you for your work!